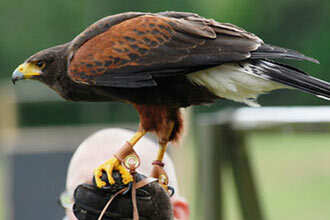 Coda Falconry is an award winning bird of prey centre based within Lee Valley Park Farm, Essex. The centre prides itself on the outstanding care and devotion given to its diverse collection of birds and for providing educational experiences that both children and adults can enjoy. 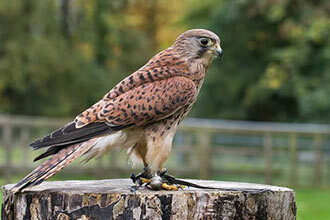 Discover the world of medieval falconry in a truly medieval setting, a 12 century Norman keep, set in 160 acres of spectacularly beautiful landscaped gardens and woodland, where descendants of the original owners, the de Veres, still live! 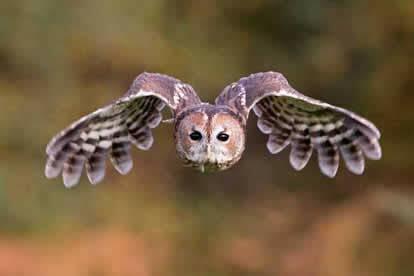 Ancient, historic and wild, it is somewhere to set both the birds and your imagination free. 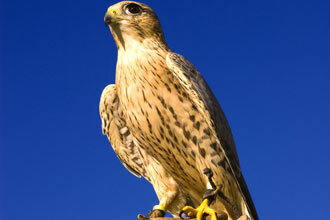 This medieval falconry experience for one includes a free ticket for a spectator. Lunch, teas and coffees are also included in this unique full day experience. 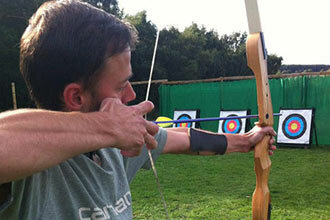 As part of the Full Day Hedingham Castle experience, you will be shown around the keep and castle by a true medieval lady or gentleman. 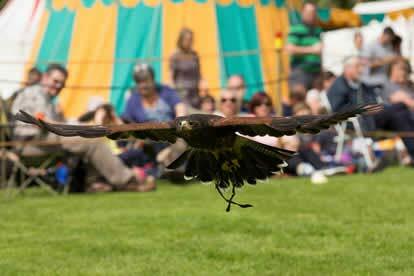 They will talk about the history of the castle and how the birds were used for hunting in the castles heyday. 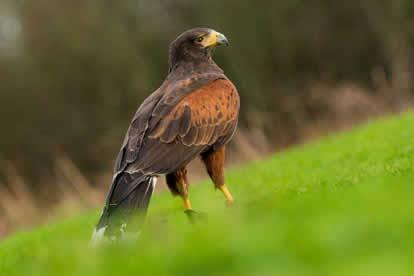 You will then learn to fly a variety of stunning birds including: owls, hawks, falcons and even a raven to your gloved hand before going out as part of a hawk walk, an exhilarating trek around Hedingham Castle’s beautiful grounds whilst flying a Harris hawk. 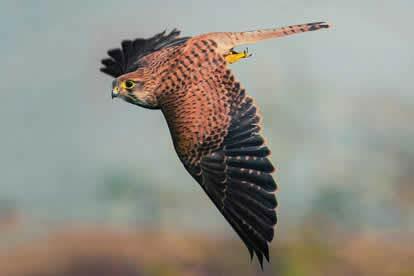 You will have the chance to see how the birds fly in their natural environment as well as learning about how falconers train the birds and what kind of prey the birds would have been taking in medieval times. 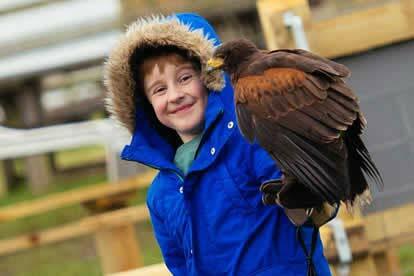 Get up and close with these magnificent feathered creatures as they lead you on a historic journey! This experience will last approximately 4 ½ hours. You are welcome to bring one spectator for free, a £10 fee applies to anymore.